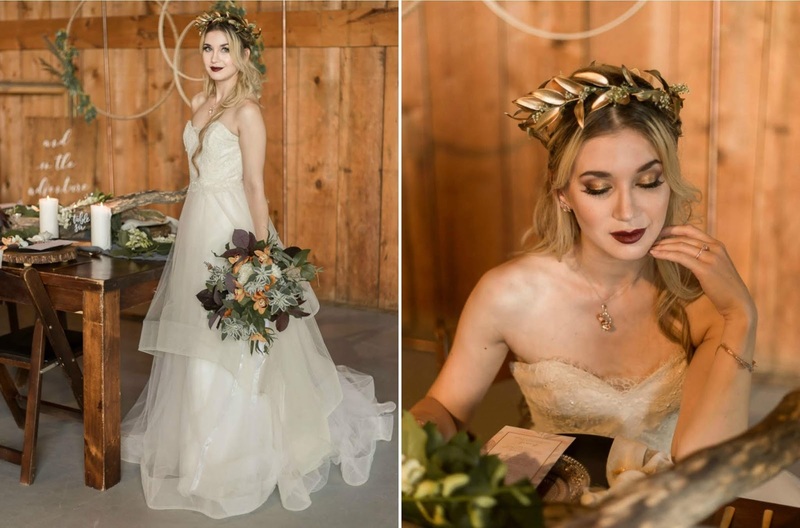 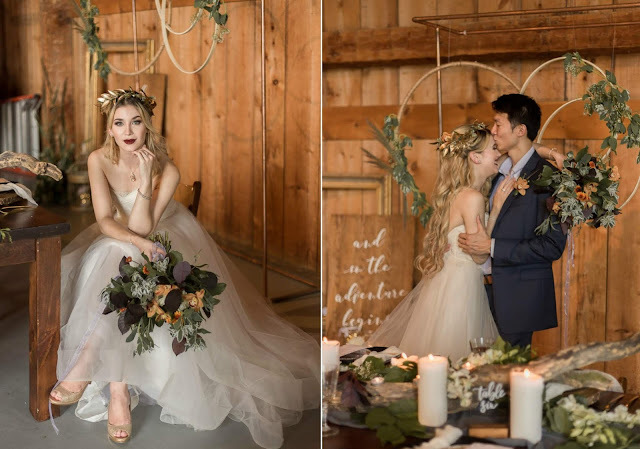 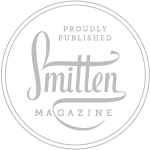 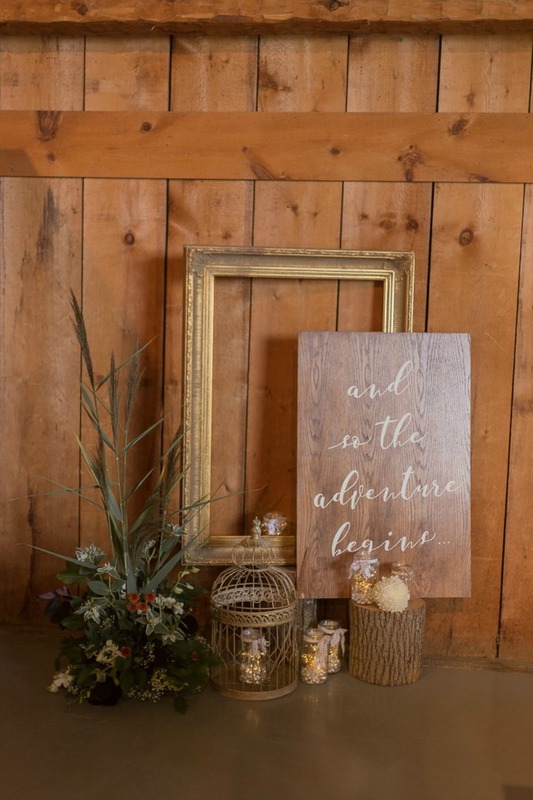 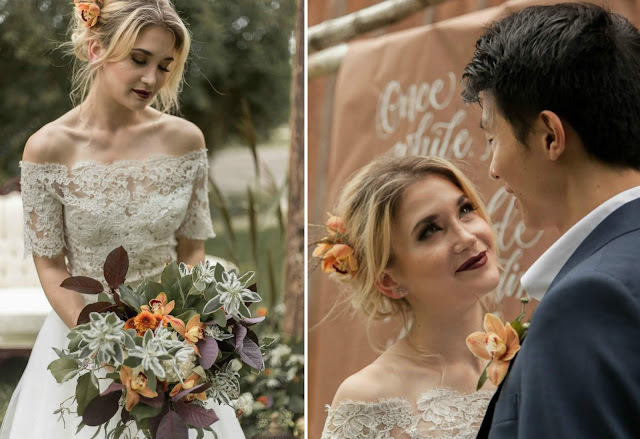 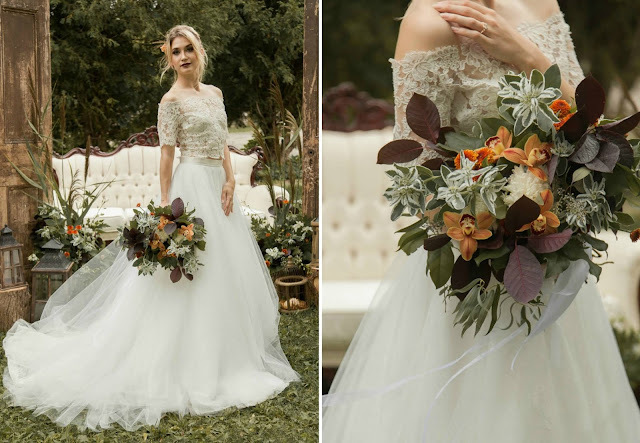 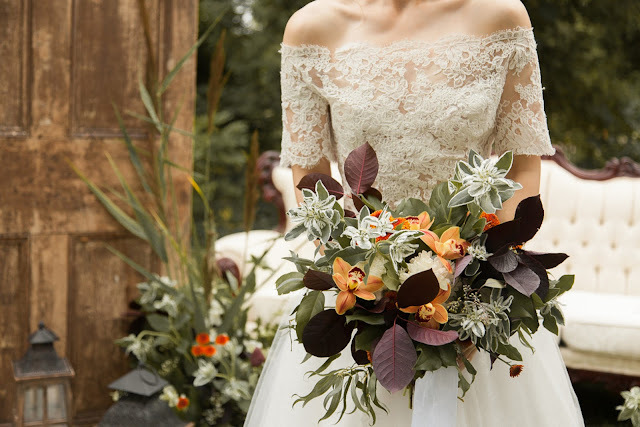 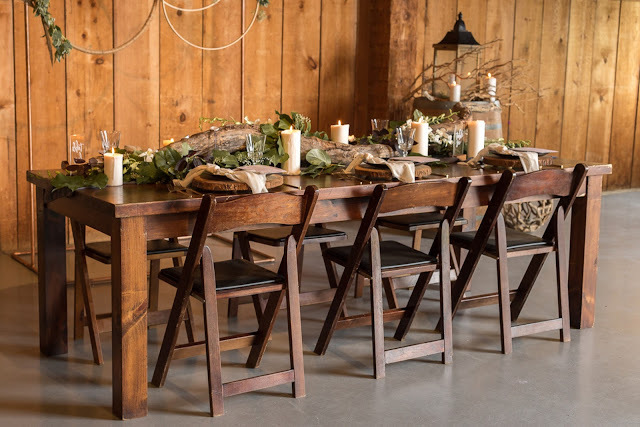 Rustic unites with modern elegance in this dazzling and heartfelt styled shoot captured at the Gambrel Barn and grounds of the historic Country Heritage Park in Milton, Ontario, Canada. 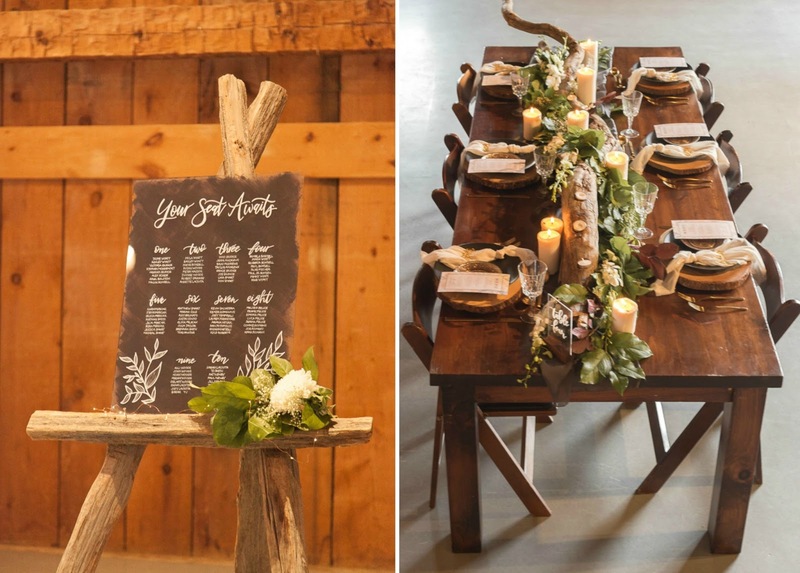 The rural setting was not so long ago home to the filming of an Anne of Green Gables series. 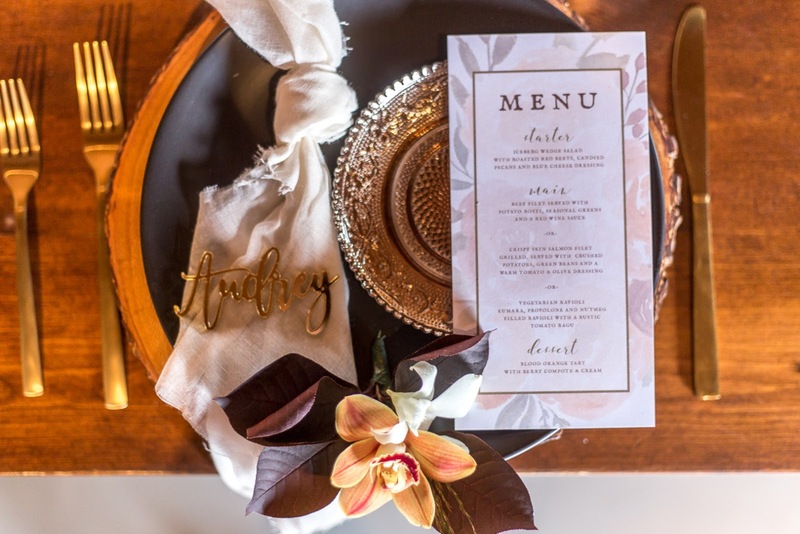 Beautiful vignettes showcased elements of gold, marble, wood, and lace. 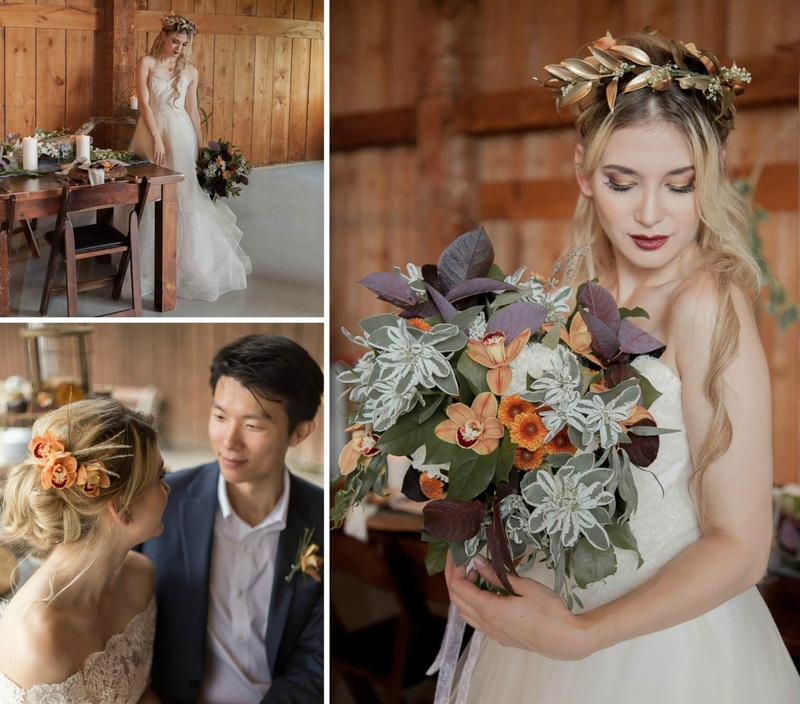 Florals artfully captured the pallet of colorful Autumn leaves. 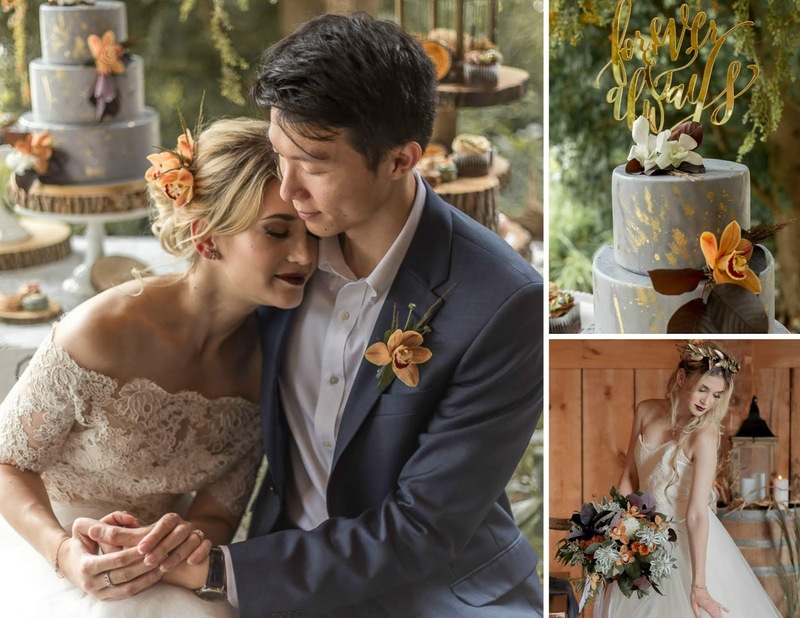 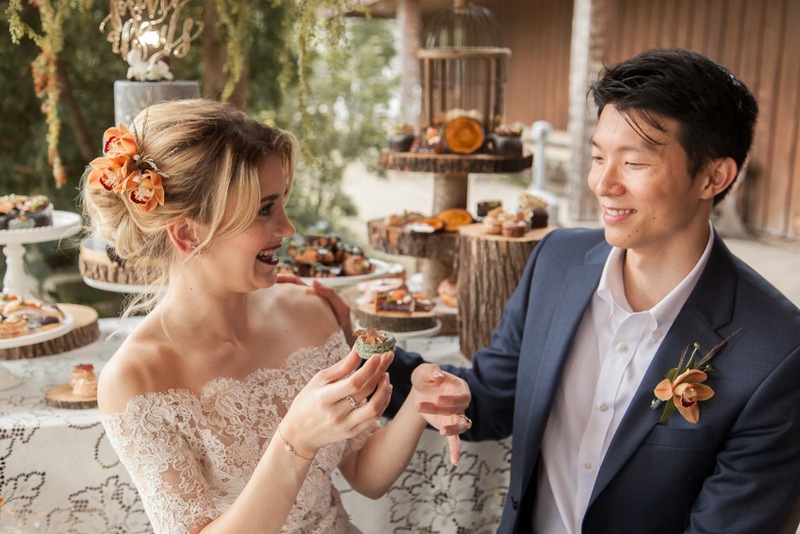 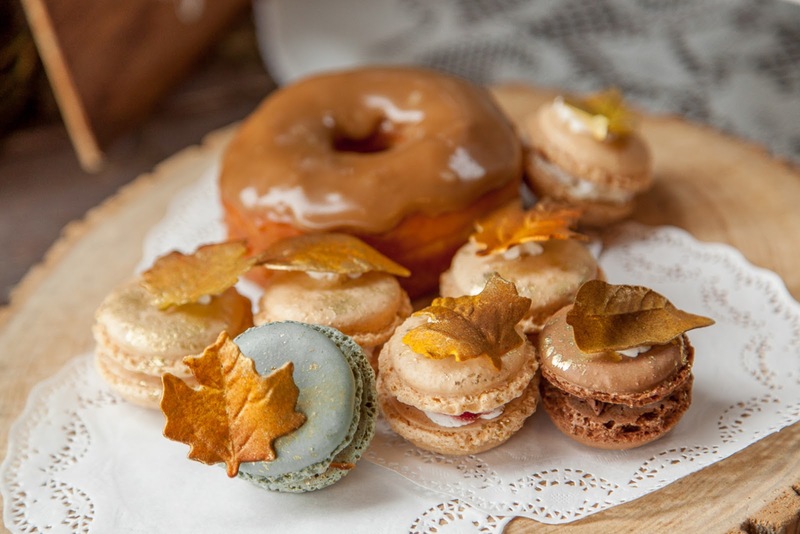 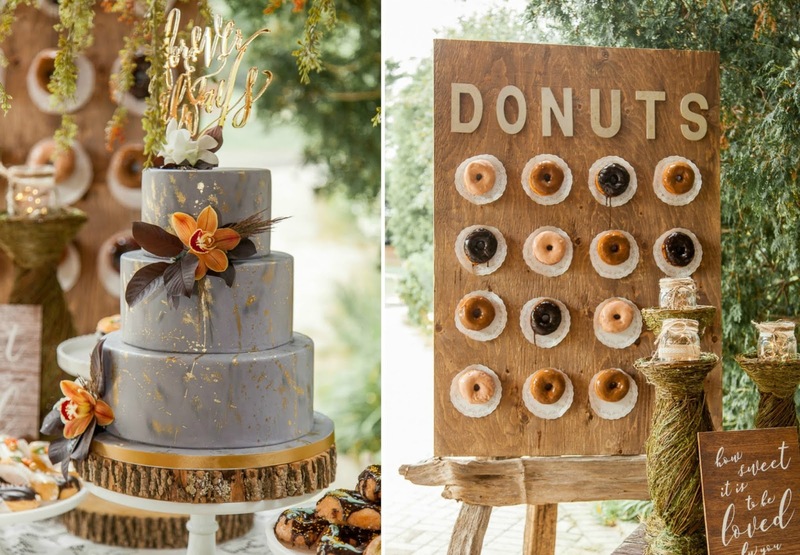 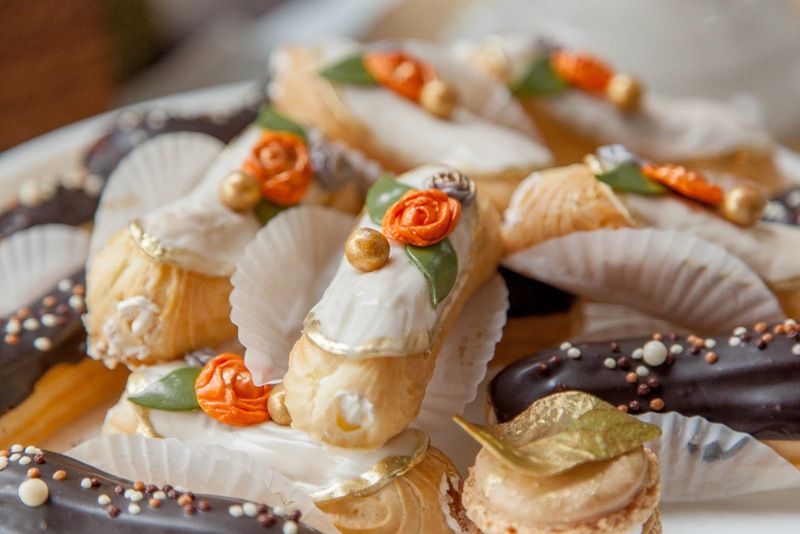 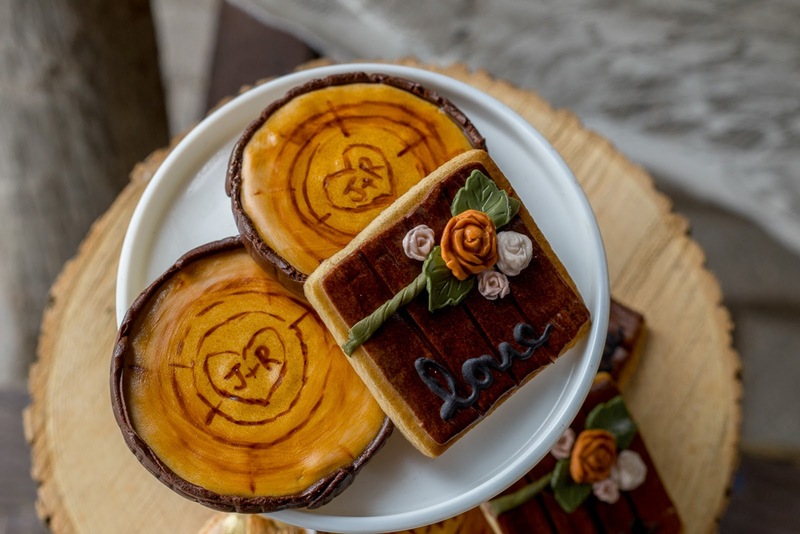 Visions of maple will dance in your head and inspire temptation after one look at the lavish marble cake dotted with amber colored flowers, the donut wall, and succulent desserts with woodsy designs. 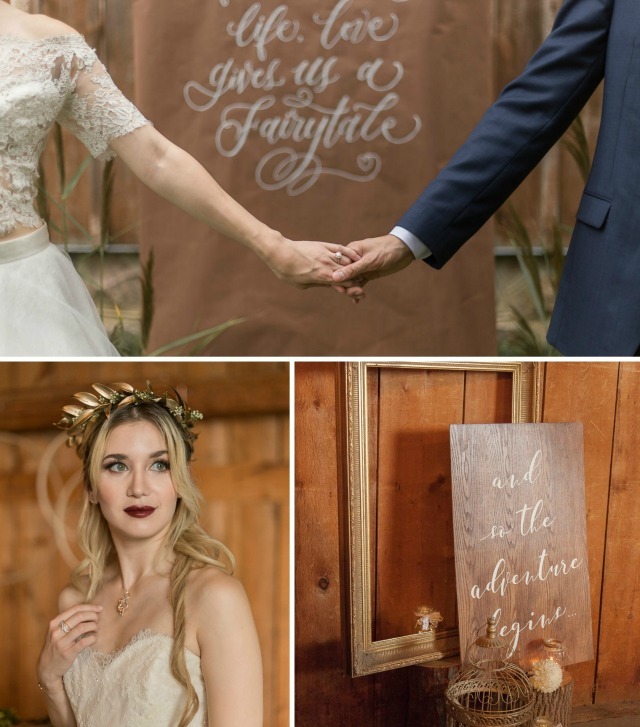 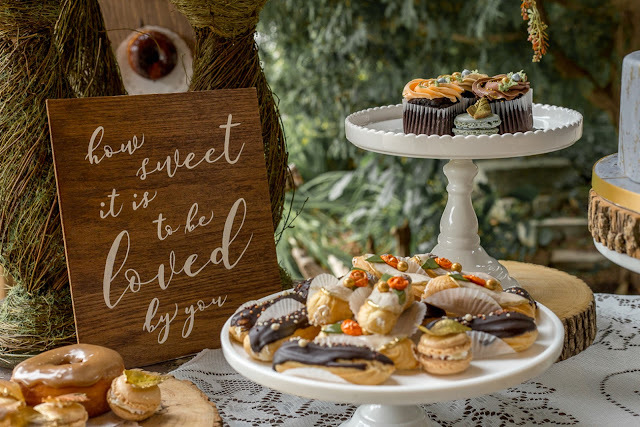 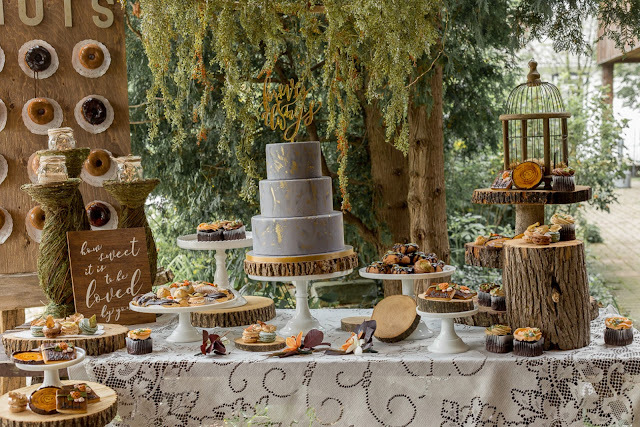 The laser-cut cake topper brings gold elegance and a rustic quote compliments the sweet ensemble. Looming over the rustic picnic table is a rounded fixture dripping with lush greenery. 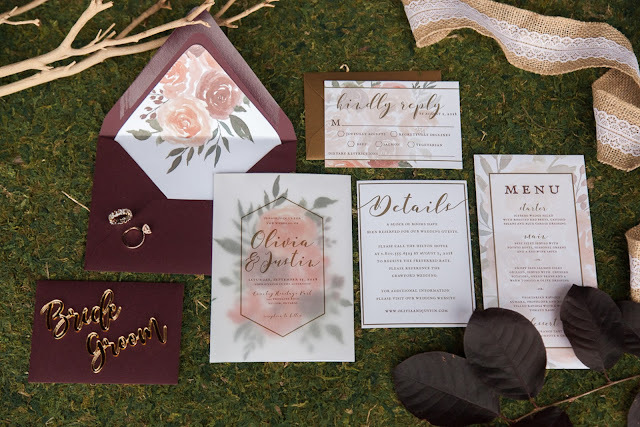 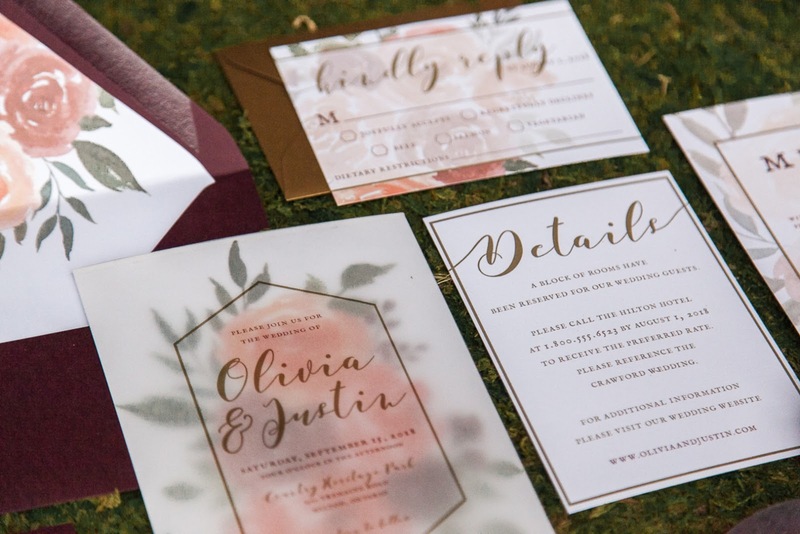 “A rose speaks of love, silently, in a language known only to the heart.” This romantic invitation suite depicts beautiful country roses with an overlay and gold accents. 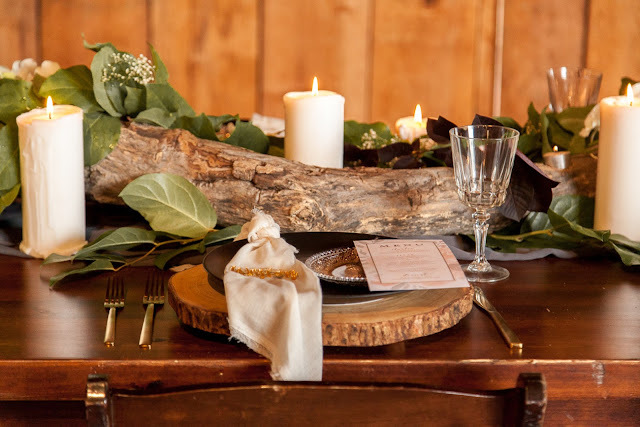 The rich, wood of the head table is flanked by driftwood, a myriad of candles and greenery. 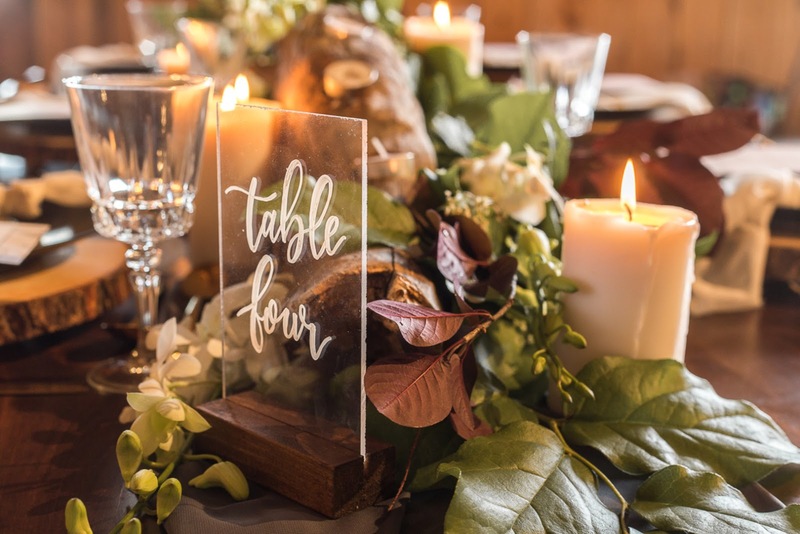 Place settings were layered with exquisite marble, black and bronze plates, punctuated with gold, laser cut names. 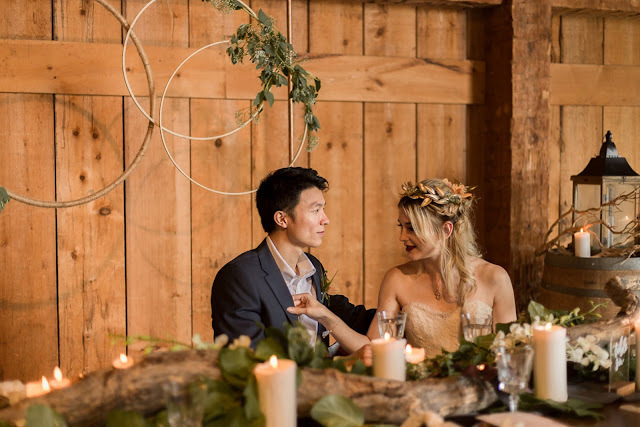 A copper arch with greenery rounds served as a gorgeous backdrop in addition to a wine barrel, wood sign and an array of rustic décor. Rustic barn doors flanked by a stunning antique white sofa were truly the ‘showstopper’ at this styled shoot. 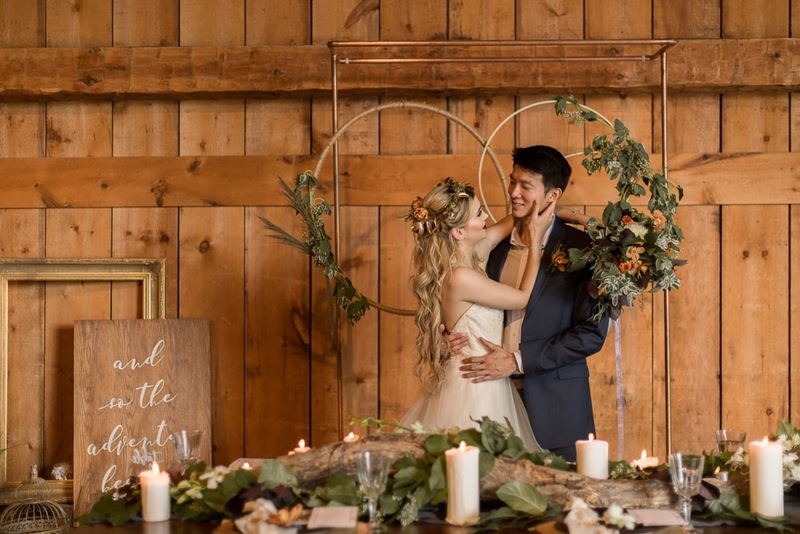 A romantic quote on a large scroll provided a beautiful and unexpected addition to the birch archway. 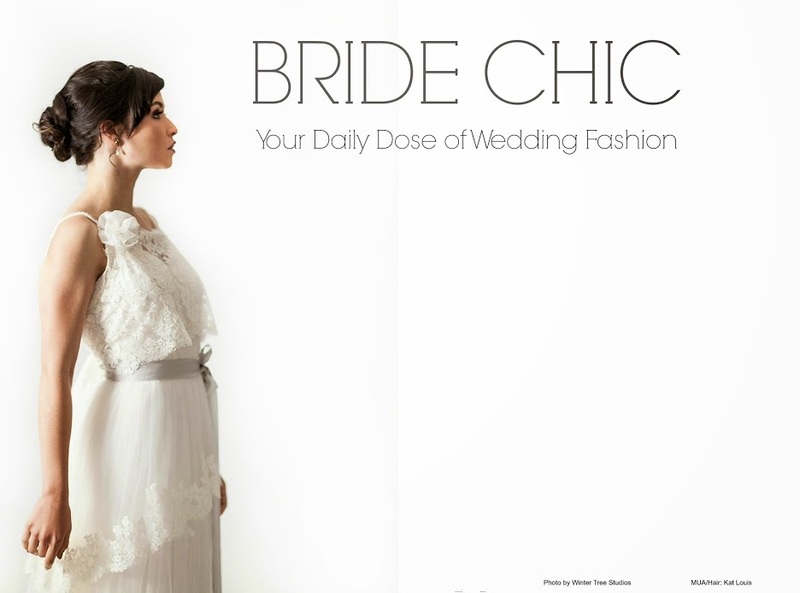 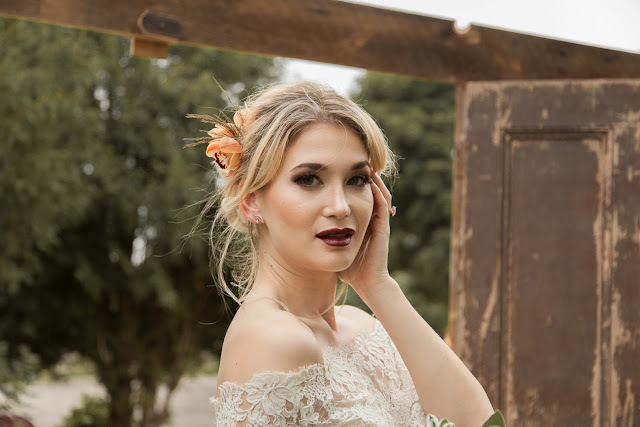 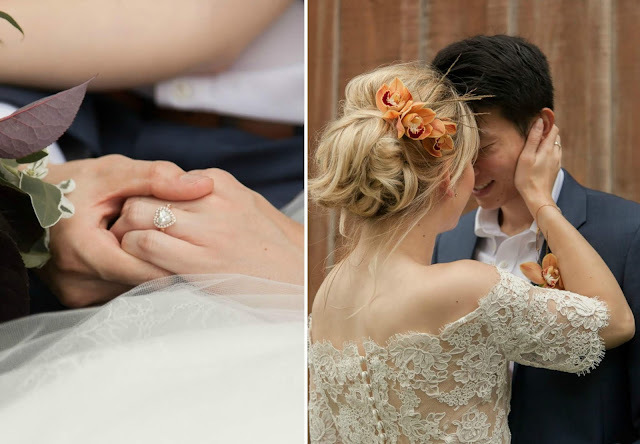 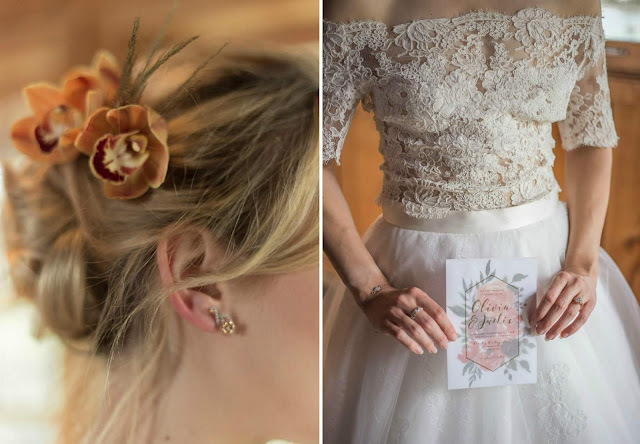 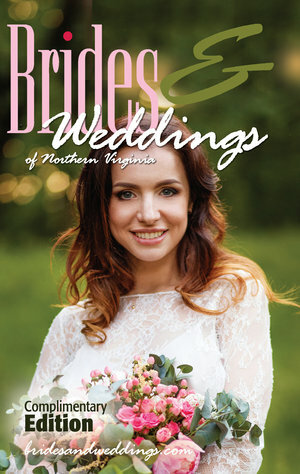 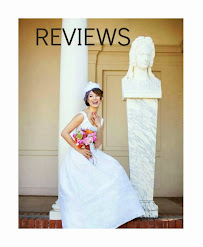 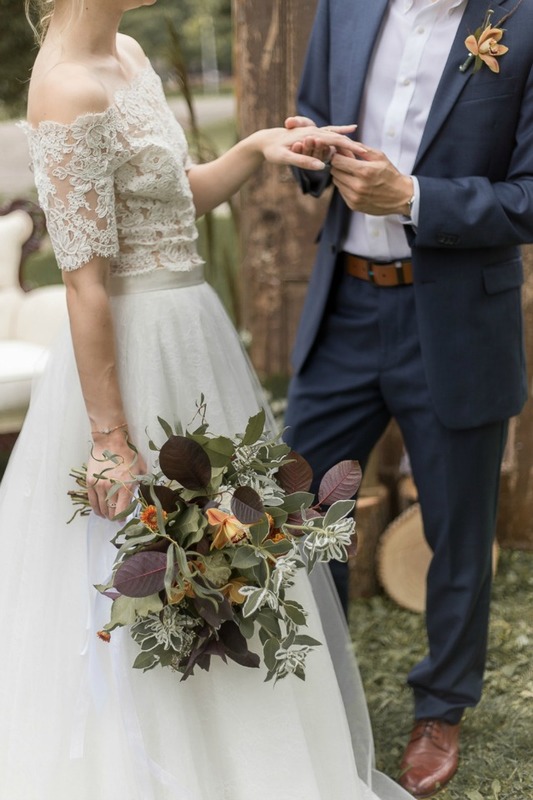 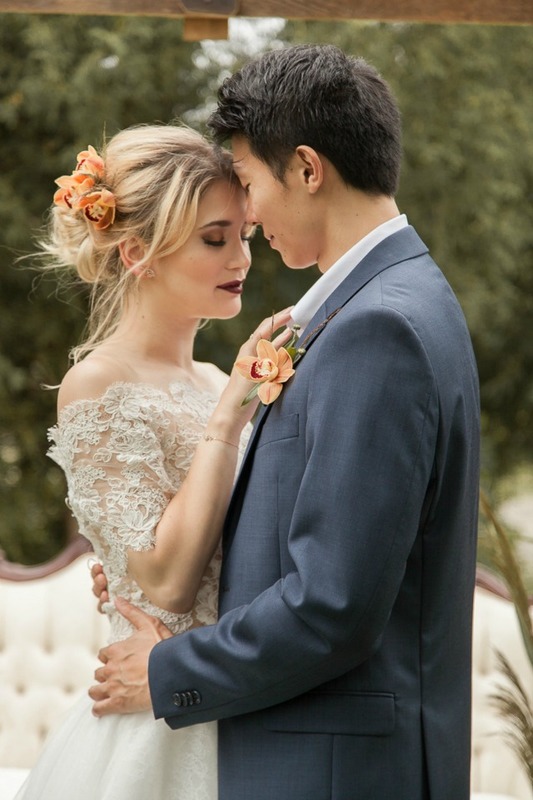 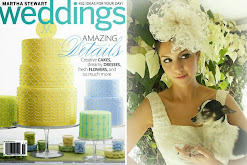 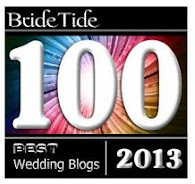 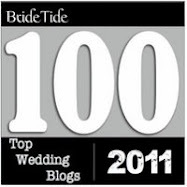 The bride stunned in a boho lace themed separates dress with a flower-adorned, up-do. 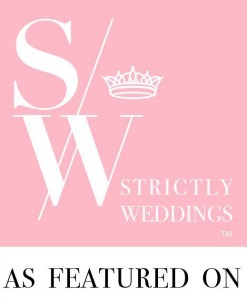 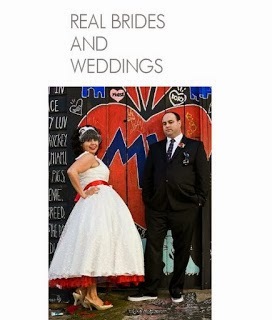 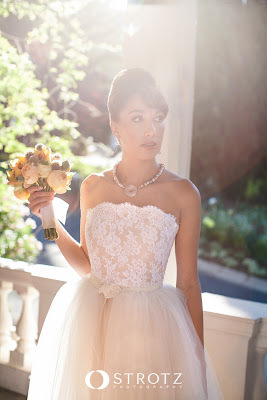 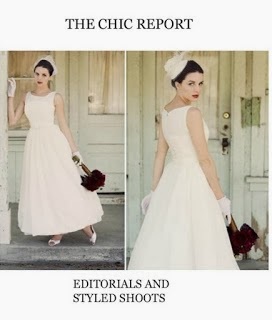 She was equally breathtaking in a princess-worthy ‘Romance’ gown with layered tulle skirting. 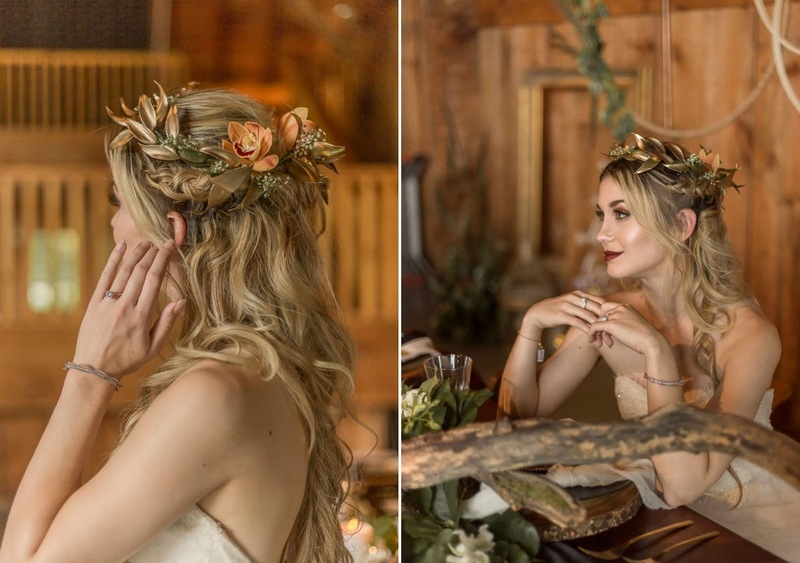 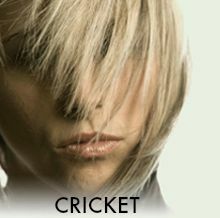 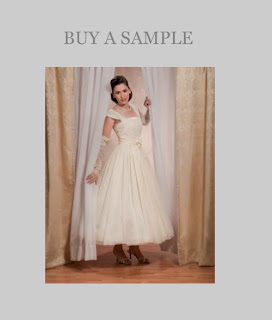 One would think we plucked her out of a distant century with her long loose waves and a gold leaf crown. 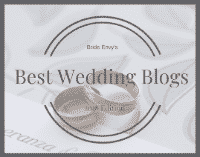 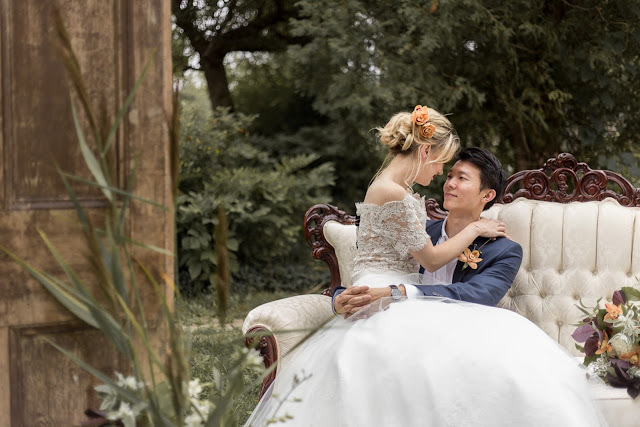 The groom was truly dashing in his navy suit and the real-life couple could not contain the genuine emotion that is evident and almost tangible in the photos and accompanying the video.